This week we have another workout from Garry Robinson. Each month Garry has been sharing with us a different workout from each of his 5 Pillars of Fitness which he talks about in his emanual Bootcamp Workout Ideas Volume II. This month’s workout is focusing on the anaerobic energy pathway. Last month was anaerobic (phosphate) with Bootcamp Ballistics and April was aerobic with Bootcamp Aerobics. This is a challenging anaerobic workout designed to train the lactate energy system. The work:rest ratio is roughly 1:1 – about 2mins work, 2 mins rest for each set. The faster you complete a round, the more rest time you get before the next one starts – and the reward of a longer rest is a great incentive to really go for it during each round! Demonstrate, explain and practice each exercise and then give everyone the opportunity to practice a few skips and burpees. Correct any technique issues, then advance or regress each individual in the group according to their ability and fitness level. time and encourage those still working to finish faster. Emphasise that the work phase must be INTENSE – a perceived exertion of 85% to 90%. Anything less will not allow sufficient recovery time and will make the workout aerobic in nature. Adjust the distance between the cones according to each individual’s fitness level. Beginners: 20m, Intermediate: 25m, Advanced: 30m. You can read more about Garry in the blurb below or share your own workout with us via our special page. 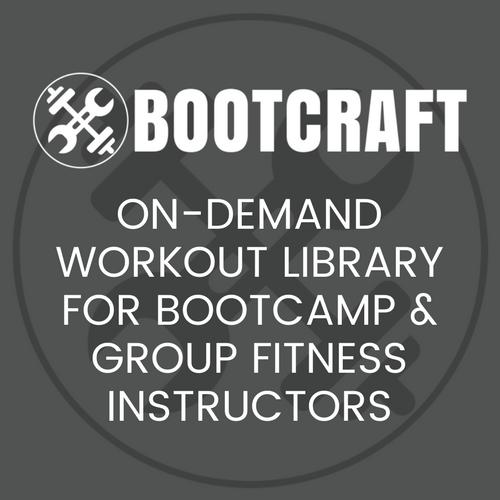 Garry Robinson is a Group Outdoor Personal Training Expert and the creator of Bootcamp Workout Ideas, a field manual for personal trainers who love training outdoor fitness groups. Originally from England, he now lives in Sydney, Australia, where he has developed his own unique brand of group outdoor fitness. He is a massive fan of outdoor exercise and continues to research ways to make fitness camps fun and effective for participants and profitable for their owners.